Dan and The Da Vinci Code. Dan poses with a copy of his bestseller, The Da Vinci Code.. Wallpaper and background images in the Dan Brown club tagged: dan brown image picture photoshoot the da vinci code. 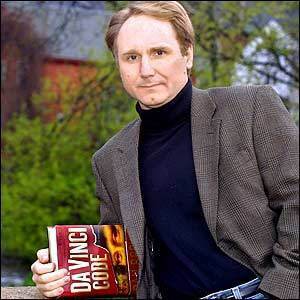 This Dan Brown photo contains setelan jas untuk bekerja and setelan bisnis.